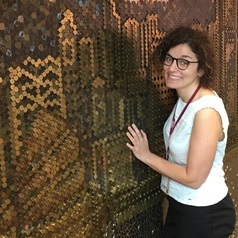 Stephanie Giamporcaro is an Associate Professor in Responsible and Sustainable Finance at Nottingham Business School Nottingham Trent University (United Kingdom) and is visiting Associate Professor at the University of Cape Town Graduate School of Business. From March 2014 to April 2016, she also held the position of research director at the UCT GSB. She oversaw the school’s research budget and the school’s research agenda. She also directed and convened the GSB PhD program, which covers areas of organization and management studies and research methods. Associate Professor Stephanie Giamporcaro’s research focuses on applying the theoretical insights from the anthropology of markets, economic sociology and organisation and management theories to the study of innovative phenomena such as sustainable and responsible investment (SRI) impact investing, sustainable finance or more recently to market’s digitalisation and street art. This approach led to a PhD defended in 2006 with the highest honor and mention. Prior to embrace fully an academic career, she was the head of SRI for the French think tank Novethic, subsidiary of the French Public Investment Group Caisse des Depots and was one of the leading experts on SRI management and strategies in France. Her industrial and practitioner experience has travelled with her across different continents and in 2013 she was nominated one of the 35 foreigners under 35-years-old making an impact on the continent of Africa. Following her move to South Africa, she produced not only in top tier academic journals but also several policy papers and impact research outputs. She has published a book in French on political consumption, and a number of peer-reviewed research articles in top-tier academic and practitioner journals including: Organization Studies, Journal of Business Ethics, Journal of Sustainable Investment and Finance, Investment Analyst Journal, and Development Southern Africa. She is a regular reviewer for Journal of Business Ethics, Business Ethics Quarterly and Organization Studies. Her latest impact research outputs include the African Investing for Impact Barometer, which is a research publication targeting the investment industry, the policy makers, media and civil society to effect change and practices in the implementation of SRI and impact investment strategies in the African continent. As one of few experts in the field, investment industry practitioners and the media often consult her expertise on SRI in Africa. Giamporcaro is currently involved in research and teaching on impact investment and sustainable and responsible investment at NBS and she remains a visiting Associate Prof at the UCT GSB. In terms of pedagogical innovation, she has designed and lectured brand new courses on the SRI topic SRI for the Masters in Business Administration (MBA) and the Masters of Development Finance programs at the UCT GSB. She has recently developed an online module on Corporate Governance and Sustainable and Responsible Investment for NBS. She developed successfully teaching cases studies on responsible investment dilemmas in emerging markets. She has won several awards for these teaching cases studies which explore how investors and companies can become more responsible. She supervises DBAs, MBAs, Masters and PhD at UCT GSB and NBS on SRI, impact investment, social finance developmental finance, corporate governance, corporate social responsibility, sustainability and financial innovation such as a crowdfunding and more generally on the social construction of markets.